World War II had a profound effect on the world when it occurred. It cost the lives of millions and led to dramatic changes on the world map. However, it also had a large impact on the everyday lives of millions of people. In general, World War II is an excellent example of "total war" which means that as a war it impacted all aspects of society. Not only were soldiers impacted but people on the home front were effected as they were expected to participate in the overall war effort. People on the home front were expected to do the following: manufacture munitions for soldiers to use on the front lines, save and reuse resources to preserve necessary raw materials for the war effort, and farm the needed food to feed soldiers on the front lines. In all, the "total war" aspect of World War II changed life for many people on the home front. For example, in the United States the war changed life for millions of American women when many of the began to enter the workforce for the first time to fill the jobs left by men who had enlisted to fight in the war. Before the war, very few women had jobs in the workforce and the vast majority worked in the home as stay-at-home mothers and homemakers. Women who did have jobs at the time were usually limited to roles such as: teachers, secretaries, and nurses. 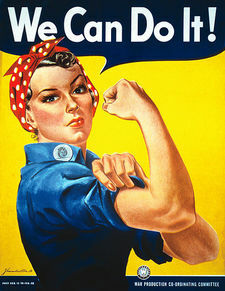 However, when the war began and American men began to enlist in the war effort, women were needed in the industrial sectors of the American economy in order to keep the factories operating. 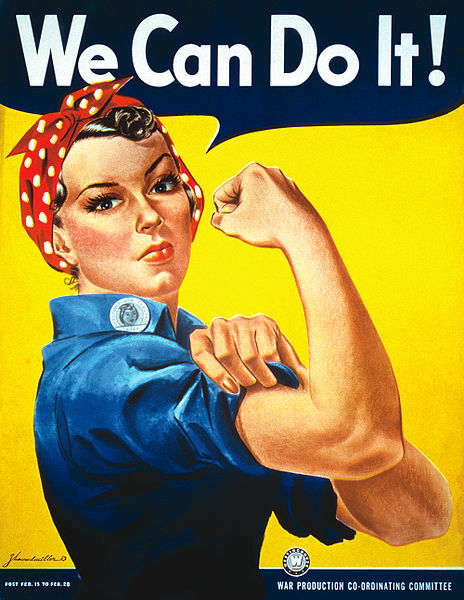 As such, American women would come to play a crucial role in the war effort. Besides just the impact that occurred for American women, the lives of Japanese-Americans were also profoundly impacted. After the United States was attacked by the Japanese Empire on December 7th, 1941 at Pearl Harbor, life for Americans of Japanese ancestry changed dramatically. 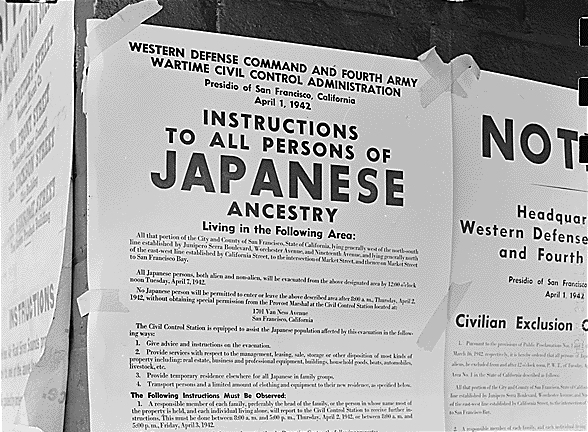 Due to fear among the American public and paranoia that Americans of Japanese ancestry would remain loyal to Japan, Japanese-Americans were relocated and interned during the remainder of the war. Internment means that Japanese-Americans were removed from their homes and property and forced into work camps. The final home front impact was the Lend-Lease Act and the impact it would have for American participation in World War II. When war broke out in September of 1939, public opinion did not support American involvement in the conflict as many Americans viewed the conflict as a European one and could still recall the horrors of World War I. In March of 1941 the Lend-Lease Act was passed and gave President Franklin D. Roosevelt the ability to provide any military aid to nations during World War II. The act allowed the United States to support Allied endeavors without becoming over-extended in a land campaign. 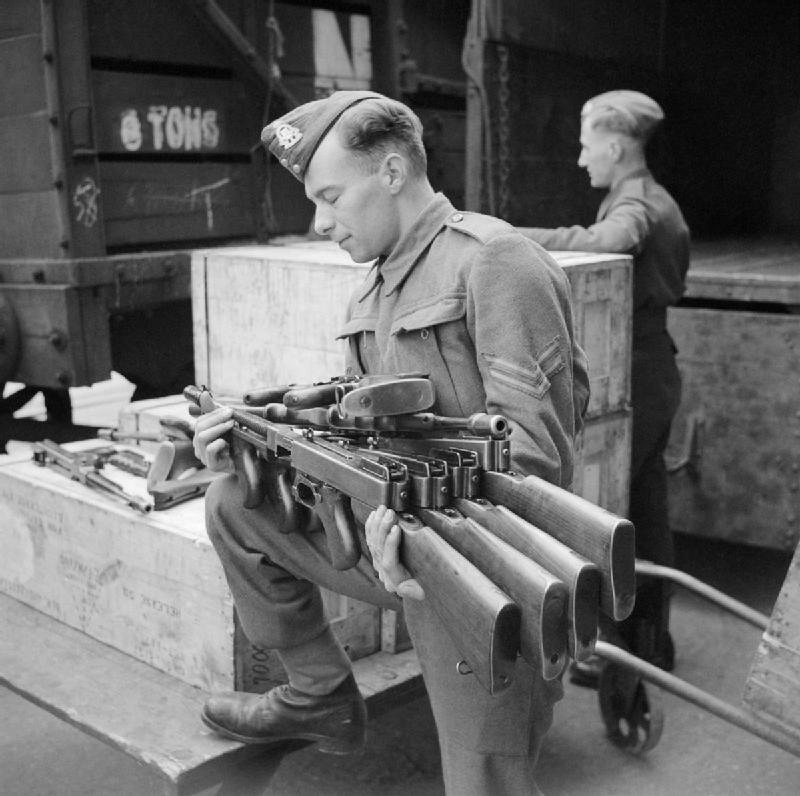 Britain, the Soviet Union, China and others received weapons under this act.